Venture north along Warren Road towards Detroit Avenue these days and you’ll notice a transformation has taken place for the sake of community beautification. 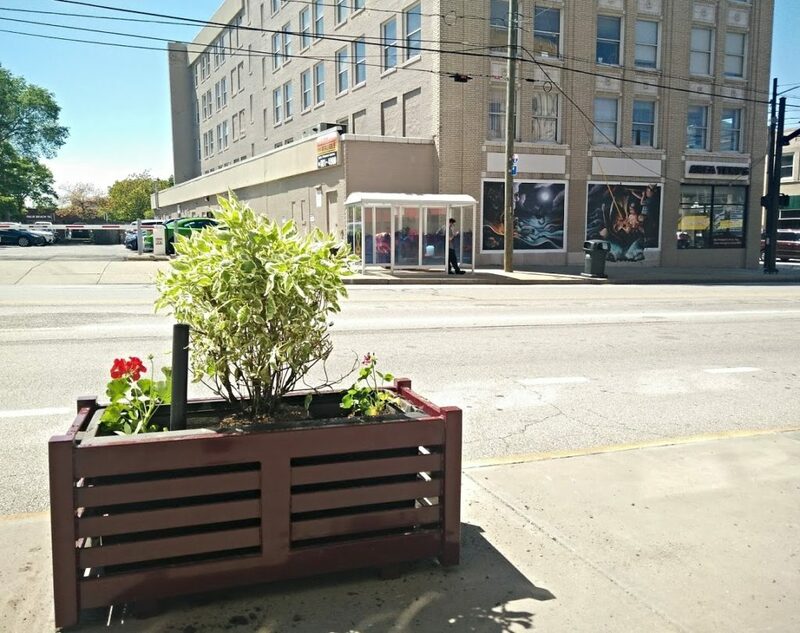 Thanks to a $50,000 Community Development Supplemental Grant from Cuyahoga County and a partnership with the City of Lakewood, LakewoodAlive’s Warren Road Beautification Project has resulted in a rejuvenated gateway into Lakewood’s downtown district. 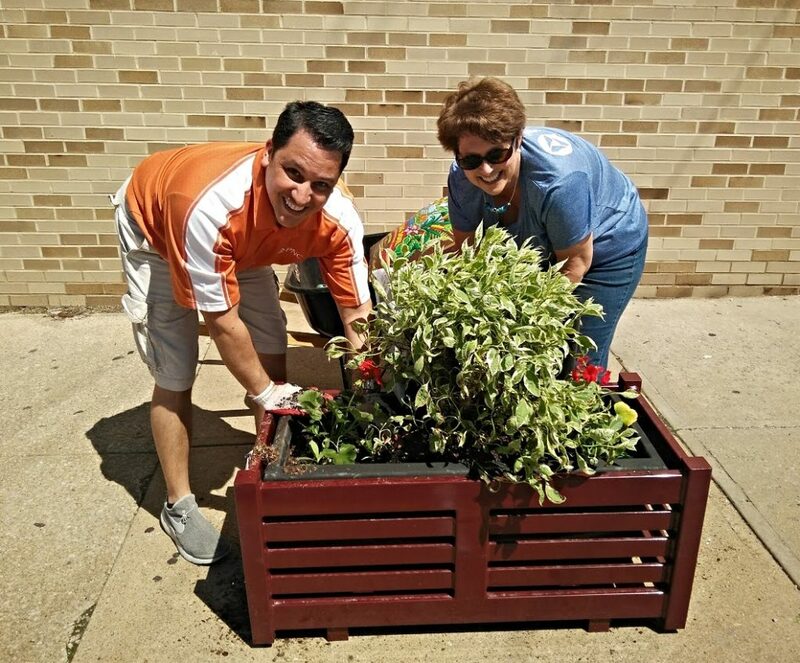 Volunteers from PNC and Keep Lakewood Beautiful assisted with filling the new planter boxes with dogwood shrubs, geraniums and zinnias from Lakewood Garden Center. Following the long winter, the first day of May saw the installation of a new public art mural at the corner of Detroit Avenue and Warren Road in the heart of Downtown Lakewood. 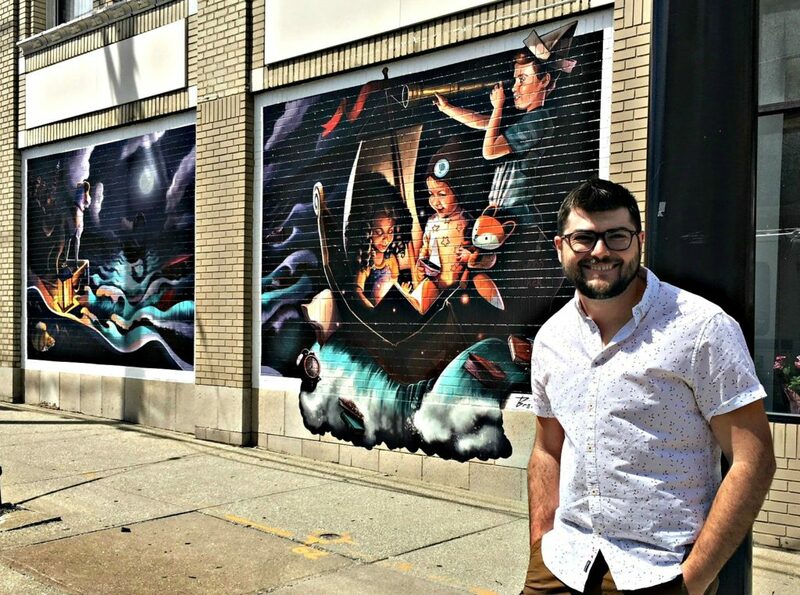 Designed by Lakewoodite artist Derek Brennan, this unique mural entitled “Imagination on the Lake” depicts a Lake Erie Loch Ness Monster through the lens of children’s imagination. This eye-catching mural pays homage to Lakewood’s proximity to Lake Erie and also incorporates the Cleveland skyline. 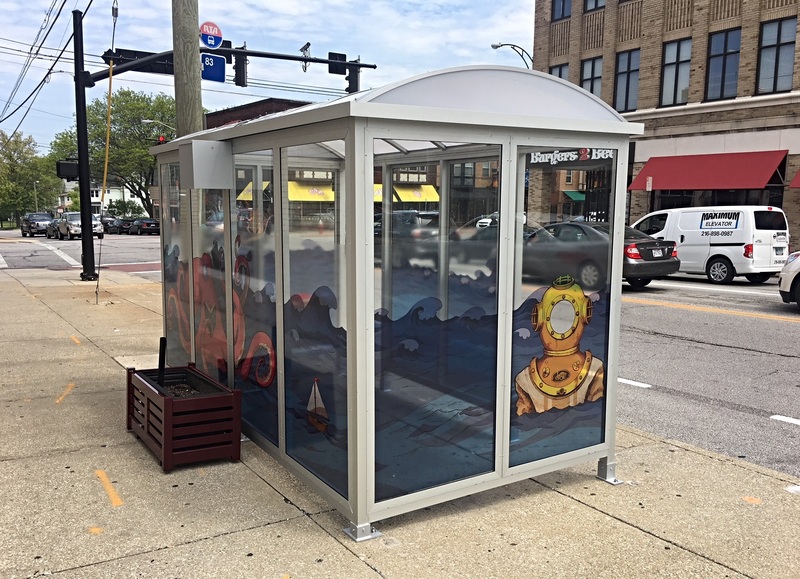 The new bus shelter features an aquatic design that speaks to the art mural, as well as solar-powered illumination. A final phase to the project saw the installation of five additional bike racks along this same stretch of Warren Road last week. A public art mural, a complementary bus shelter wrap and planter boxes are three of the key components of the Warren Road Beautification Project.